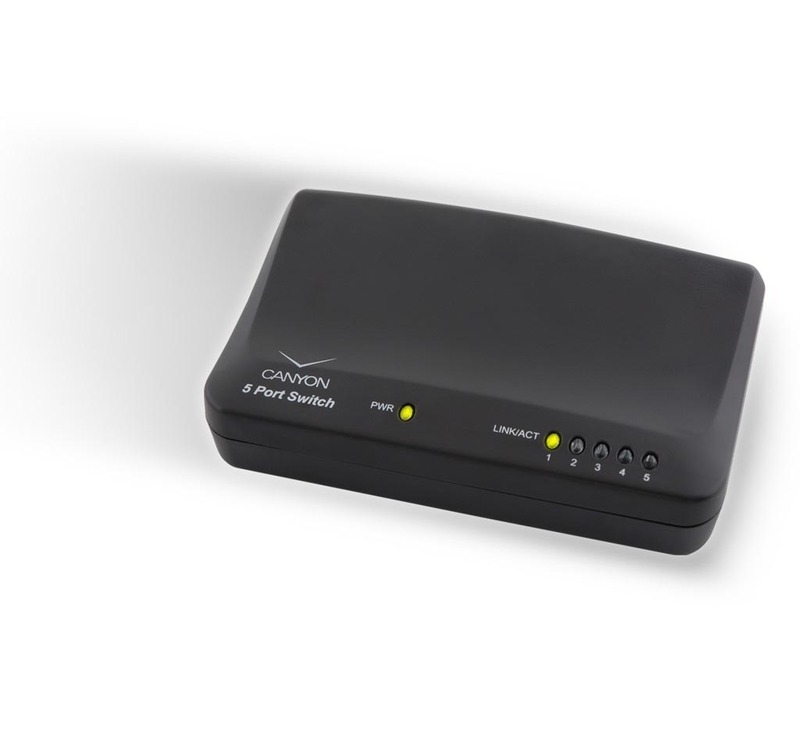 Суич CANYON CNP-D05P (5 x 100/10Mbps, MDI/MDI-X switch, Switching, VPN Support) Retail***The CNP-D05P is a five-port Ethernet switch 10/100 Megabits per second with full duplex/half duplex auto-sense on all ports. It is a simple solution to improve small network performance and to move large files such as multimedia, gaming and Internet access across your network at high speeds. This device is slim and compact for a convenient positioning directly on the desktop or mounted on the wall. To optimize your network connectivity, simply insert Ethernet cables and you are ready to go!